HomedemocratieDoes London really need an elected mayor? London has experienced 16 years of elected mayoralty, and soon a third incumbent (or encumbrance) will be elected to this office. So, what are elected mayors good for? You’d be forgiven for thinking that their main power lies in needlessly reinventing existing public transport infrastructure: Ken Livingstone liked his buses continental and bendy, while Boris Johnson prefers them with a hint of nostalgia. The last of Livingstone’s road-blockers immolated themselves under Maltese sunshine, while Johnson’s are being quietly supplanted with a more practical hybrid lookalike. Both projects carry the stamp of mayoral ego, and have rather less to do with the position’s actual remit: the necessary improvement of public services. Indeed, vanity projects, with their high profile and short lead time, seem to fascinate elected mayors. The underused cable cars of the Emirates Air Line frame the Thames like the fairy lights from yesterday’s party, providing a prelude to other high visibility, low utility, cross-river projects to come. It’s as if someone were trying to divert attention from the crucial issues which need to be addressed, in order to safeguard London’s future as a world city. Providing affordable and well-located homes for the bright 20-somethings that put this metropolis at the cutting edge of global creativity and keep the nighttime economy burning brightly seem to fall far down the mayoral agenda. Instead, the development industry has charmed both previous post holders into approving the construction of luxury tower blocks, which act as safe-deposit boxes for the world’s uber rich. Ever since it ceased to be a “square mile”, London has had difficulty finding a suitable mechanism of governance. The London County Council boundary, which was in place from 1889 to 1965, probably encompassed the most coherent urban metropolis to represent a governable capital city. In 1965, having achieved an enviable reputation for the provision of affordable housing and public transport, it gave birth to the Greater London Council or the GLC. This bloated creation was too large to be a city and too small to be a region – an uneasy combination of urban metropolis and sprawling suburban hinterland, girdled by a green belt. In spite of this handicap, the GLC managed to continue the good practice of its predecessor in the fields of strategic planning and public housing, until the early 1980s. Then, under the Thatcher government, it discovered personality politics. 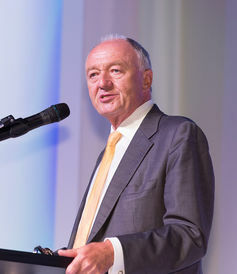 Livingstone was crowned head of the GLC by a victorious Labour party following the 1981 elections. Livingstone tasked the organisation with disrupting the Conservative government from office, and thereby signed the GLC’s death warrant. The inevitable threat to national power posed by a Greater London leader had been demonstrated, and Thatcher made it her mission to disband the council. The GLC’s eventual demise in 1986 was followed by one of the most creative and successful periods of London’s governance. The capital was run by the 33 municipalities via collaborative boards, such as the London Planning Advisory Committee. Personality politics disappeared and activity was focused, through consensus, on key strategic planning issues such as London’s role as a “world city”, and the location of tall buildings. Civic collaboration saw off the extremes of left and right wing politics, and the stultifying conflicts which had marked the previous decade. This interlude of harmony witnessed the creation of the strategic policies which formed the basis of the London Plan, first published under Livingstone – a comprehensive masterplan for the city’s future, covering everything from tourism, to travel, to tackling climate change. These were the essential ingredients for the subsequent strategies, which have been rebranded by the elected mayors. In spite of the unexpected success and stability enjoyed during this period of “strategic governance by consensus”, Tony Blair couldn’t resist the temptation to reimpose a formal structure when he came to power. In 1998, Blair put it to the people of London that they should be governed by a new “slim-line” Greater London Authority, and an elected mayor, in a referendum. The vast majority (72%) of a small turnout (34%) agreed. When it came to the first mayoral election in 2000, the PM should not have been surprised when his preferred candidate for the role – Frank Dobson – was supplanted by the familiar figure of Livingstone, who ran as an independent candidate against the wishes of his party (and was expelled for it). Personality politics – and government by conflict – were back. London’s elected mayors control a budget of around £17 billion – a small sum, relative to total public expenditure across the capital. However, when it comes to development projects and London’s skyline, they hold enormous power through their role in the planning system. Whereas borough councils debate development applications at planning committees of up to 30 elected councillors, the City Hall development control committee has one member only. This places the mayor in a vulnerable position, exposed to pro-development pressure and perhaps even compromising planning procedures. It is no coincidence that more than 400 high-rise developments have been approved – or are likely to be – under the supervision of the two elected mayors so far. Developers now have an easy ride through a planning system that has been continually degraded, first by Livingstone and John Prescott (as Deputy Prime Minister and Secretary of State for the Environment, Transport and the Regions), and latterly by Johnson and Eric Pickles (as Secretary of State for Communities and Local Government) – although it may well have been the Treasury that was really pulling the strings. In the face of all these shortcomings, I had begun to believe that elected mayors held no attraction for London, until I saw the pictures of Johnson suspended, stationary, on a zip-wire over Victoria Park. It was then that I was forced to admit that they do, at least, make wonderful Christmas decorations.